Dragons Abreast is an organisation of breast cancer survivors who paddle to demonstrate that there is quality of life after a diagnosis of breast cancer. By being part of a team, paddlers are able to help individuals regain a sense of health, wellness and self confidence, and enjoy the friendship of others who have had similar experiences. Dragons Abreast is not about competition, rather the focus is on awareness, participation and inclusiveness. 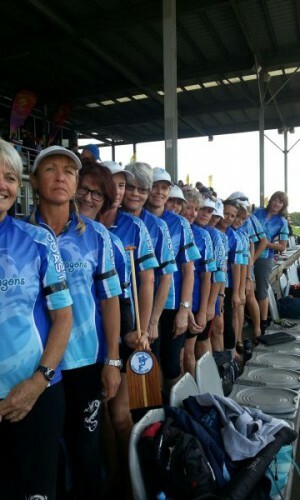 Dragons Abreast Central Coast is a small group of like-minded women who enjoy dragon boat paddling and are committed to the ideals of the national organisation. We lead active lives and are happy to promote our sport in the wider community. We paddle in many of the Dragons Abreast regattas as the “Coastbusters” and some of our members also paddle with the Central Coast Dragon Boat’s race crew. For more information please check the contacts section of the website.